Hooooo man what a good purchase. Got enough shards to open the first crystal last night, 4* Grimlock. FEELS GOOD MAN. Anyone else get lucky and pull a Grimlock, even a 3*? pic of your 4* Grimlock or it didn't happen. Very nice dread. You lucky lucky man. No, only a chance. The second crystal gave me a 2* Ironhide I think. 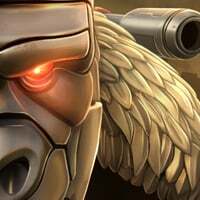 You get a free 2* Grimlock guaranteed and then 2 special Grimlock crystals with chances to win 3 or 4 star. 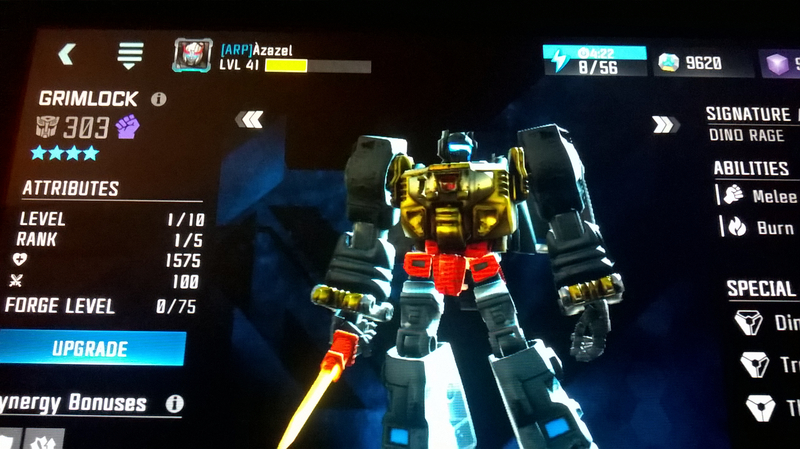 I got one as well, more specifically, a 4* grimlock. Question, if I save those cards, can they be combined with other bot cards? I got diddly squat for the grimlock cards and now I'm considering not spending the ones for Shockwave. But rather wait until I have enough for 10 or 20 draws. Is that possible?